Bradley Goodall plays the keys, both for himself and for Huntington-based band Ona. 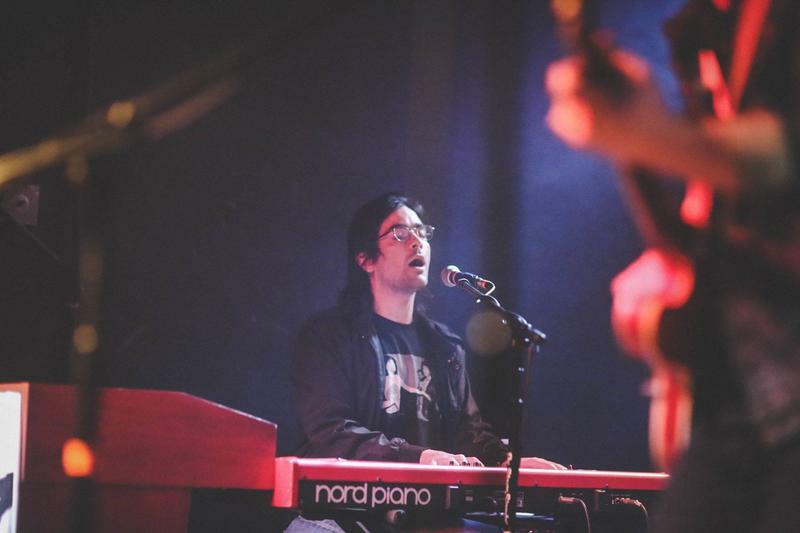 Since the show began almost two years ago, A Change of Tune has highlighted some of the best up-and-coming artists out of these West Virginia hills with podcast-y chats ranging from Bud Carroll to New God, Rozwell Kid to Coyotes in Boxes and beyond. And today, we are chatting with Brad Goodall aka B. Goods aka keyboard player for up-and-coming Huntington band Ona. You can also add solo performer to that list of titles, as he’s been releasing EP’s and singles over the last few years. We chatted with Brad about his solo releases, his Ona relationship and what it means… to have a mullet. 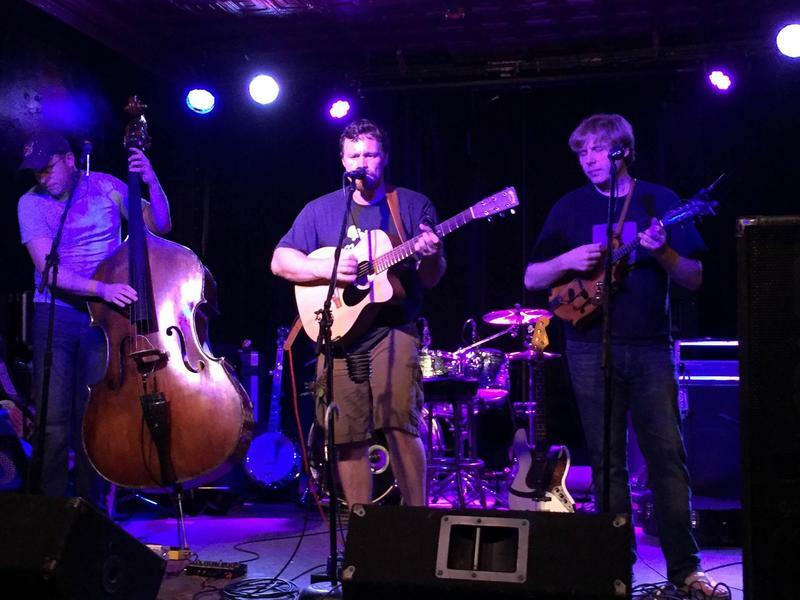 An interview with Brad Goodall about #WVmusic. Brad Goodall's newest release is "Jewel City." Catch him on tour with Ona throughout the year. 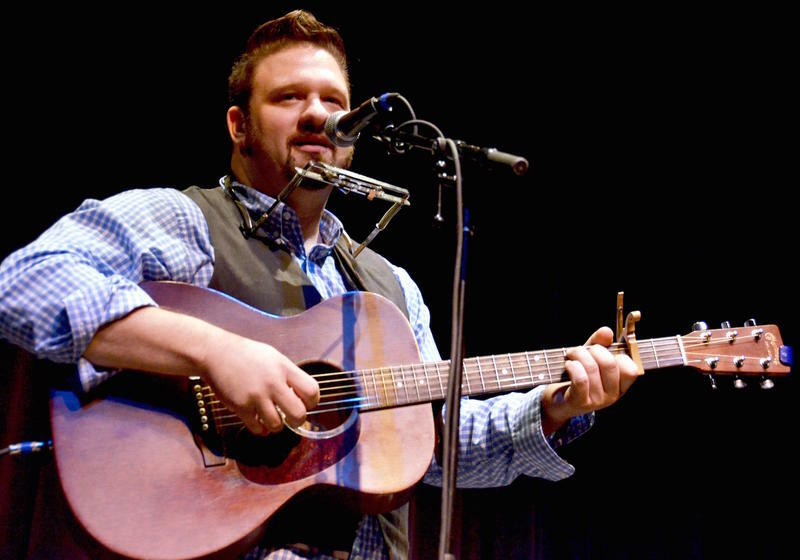 Hear more #WVmusic on A Change of Tune, airing Saturday nights at 10 on West Virginia Public Broadcasting. And for more #WVmusic chats, make sure to go to wvpublic.org/wvmusic and subscribe to our RSS / podcast feeds! 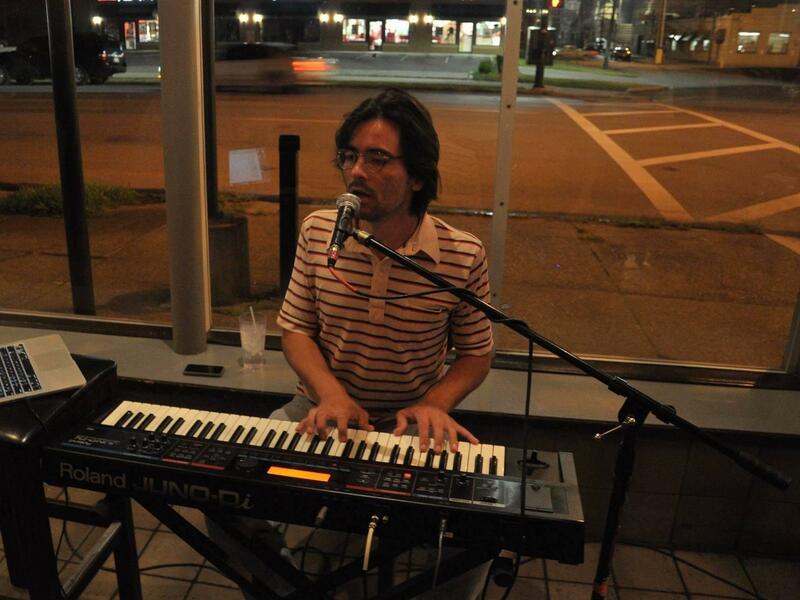 Brad Goodall regularly performs at Black Sheep Burrito & Brews in Huntington, West Virginia. I learned to play piano from these two books, which I still have, which are still sitting on my piano. They were The Billy Joel Anthology and The Elton John Anthology. That’s literally how I learned to piano, from five or six songbooks that I bought around high school age. When I was in college, I got kind of obsessed with the history of New York, especially because the jazz stuff introduced me to it. Then I developed my own curiosity towards it and took a couple of trips by myself, where I walked around with a backpack for a week. I came home to Huntington, I was just middling around town playing in restaurants, and I guess I needed some new experiences. So I sold my car and moved up there. I didn’t know anybody either, which is kind of crazy. Most people don’t do that. No family members or friends, and I had one connection I made from a Craigslist ad. He was actually a nice guy, and he helped me a lot. That was all I had, really. When I go on YouTube and watch my favorite artists, they’re not usually playing covers. When you go to a concert, you want to hear them play their songs that they were lucky enough to write. You’re better off putting your energy towards writing than learning covers, definitely. If you’re just starting out and trying to learn to perform, sure, play some covers. That’s how I started. I use to play a Wilco cover, I use to play a Dawes cover, but I never play them anymore because you should be focused on writing. It’s more important than learning covers. I feel like cover bands, it’s kind of cheap. Not in an insulting way at all, but it’s kind of cheap because there’s not really any risk there. The songs are road-tested. If you’re playing a song that sold 3 million copies, even if you butcher it, you’ll still get a response from the crowd after they hear the first lyric or chord change. In the end, people want to hear what your thoughts are, what your musical ideas are, and that’s always what will survive longer than a cover act. Ona is (from left to right) Bradley Jenkins, Zack Owens, Zach "Jeeter" Johnson, Max Nolte and Brad Goodall. I was in North Carolina when they called me, when they were kind of hinting of offering the gig to me. I had booked a two-week tour with my friends, and I had one month to go up there to get my stuff in New York and come back to Huntington. We were rehearsing and hanging out as soon as I got back, but I didn’t play with them until Marshall’s FEST. It was my first real experience performing with them, and we had a good time. I was probably rehearsing with them for a month before I performed. I grew up with all of Ona’s members except Max Nolte. I grew up with Zack Owens because we went to the same public schools and skateboarded together. I knew Zach “Jeeter” Johnston from skateboarding as well, just rolling around together with the local skate scene. I knew Bradley Jenkins from high school, and I know people were already kind of talking about him then. When I got to college, I had this really terrible party house, and Bradley would sometimes come over and play guitar on the porch, and we would talk about music. We were like eighteen, and he was just starting to make home recording and stuff. I wasn’t writing music at the time, but he was definitely more serious than I was at the time. I didn’t know Max until I got home and joined Ona. I wouldn’t have come home and joined if I hadn’t known these guys as well as I did. I thought it was a cool offer from a cool band, but had it not been old friends, I don’t think I would have joined. 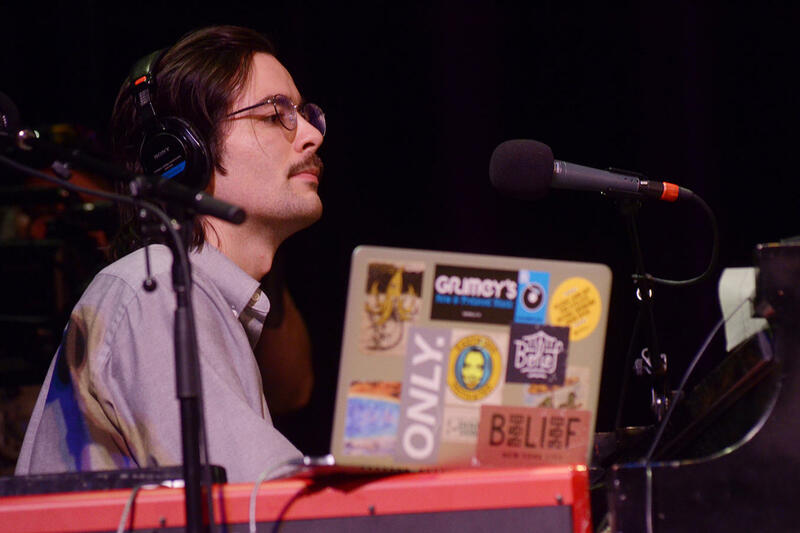 Brian and his trusty electronic steed, rehearsing for Ona's 2016 performance on Mountain Stage. There were tons of inside jokes, and I didn’t know what they were talking about. That was a big thing I noticed like, “Yeah, this is a brotherhood, and I’m this new guy standing on the wall.” I did notice that right as I got back. Bands that hang out together all the time, and we do hang out together all the time, there’s definitely a language (like a pig-Latin) that develops in a band. You either know it or you don’t. It took me a long time to catch on to a lot of the stuff they were talking about and how they interacted. But musically, they let me do my thing. Nobody was telling me how to play, and they still don’t tell me how to play. I have learned how to scale it back because when you’re playing jazz, you’re filling every single gap all the time. But for indie rock, it’s all about honoring the song, giving it enough so that you are giving the ear enough to grab a hold of. I contributed to American Fiction in very, very small ways. All of the organs and just about all of the keyboard parts on that record are played by P.J. Woodard, and he did a great job playing on it. I only play on three tracks, including “World at War” and “American Fiction.” But most of that record is all P.J. I just jumped in at the end and did what I could. All of the songs were just about done by the time I got back to Huntington. They were putting the finishing touches on the record by the time I got back home. 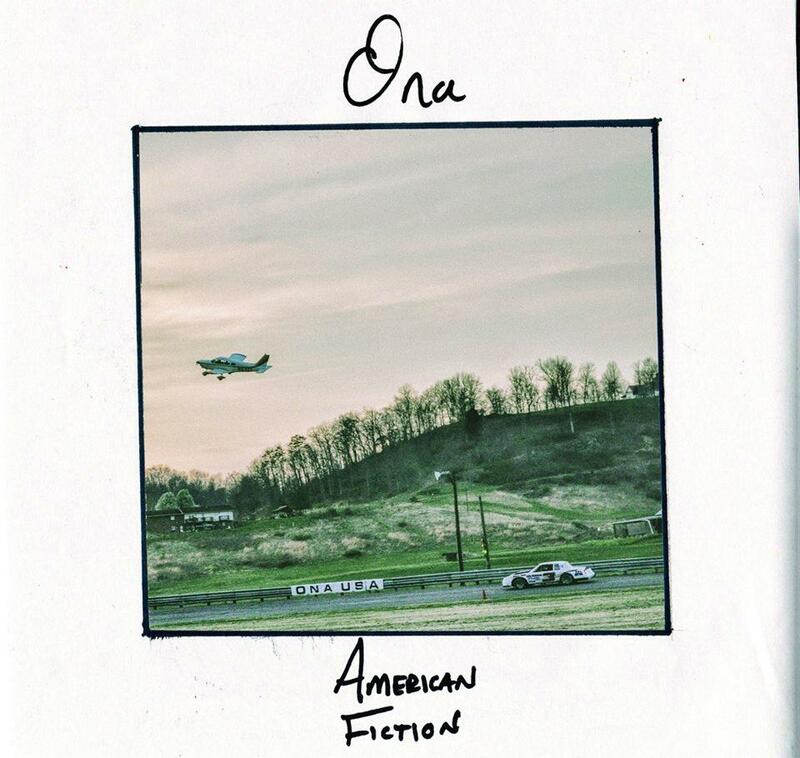 Ona's most recent release was American Fiction. The first album, from what I’ve gathered, was a lot of Zack and Brad sharing the writing experience pretty equally. I know that for some songs, Zack would write them entirely himself, and then Brad would come up with another piece or a bridge or an outro. From the practice sessions we’re having now, it definitely feels like it’s more of a team effort. Someone usually comes up with an idea, then Brad is usually quick to write up lyrics. Max will throw a verse or lyrical idea out there, and then it’ll catch. So it’s definitely a team effort, which I like. The career is great, and being able to write, record and perform is priority No. 1. But I’m not a huge fan of Huntington, or I wasn’t when I left, for sure. That’s why I left to gain new experiences. But Huntington has improved a lot since I’ve been gone, and the scene is really strong for a small city. So this is a transitional song about weighing the pros and cons. The lyrics show that I’m not super happy to be back, but I’m comfortable. The longer I’m here, I’m happy about it. There are definitely genres that work better around here than others. I love synthesizers and keyboards, but I don’t see very many keyboard bands, so I’m trying to fill that gap. I would love to be the flagship keyboard artist [laughing]. I think we’re going to make a really good second record, and it’ll be different enough where people will see that there’s growth happening here. But the common denominator is definitely going to be Zack’s guitar playing and Brad’s voice. It will still feel like the first album, but there’s definitely new things happening in there that I’m really excited about. The next record will be a little while from now, but not too long. I would say next year sometime. We don’t want to wait too long, that’s for sure. 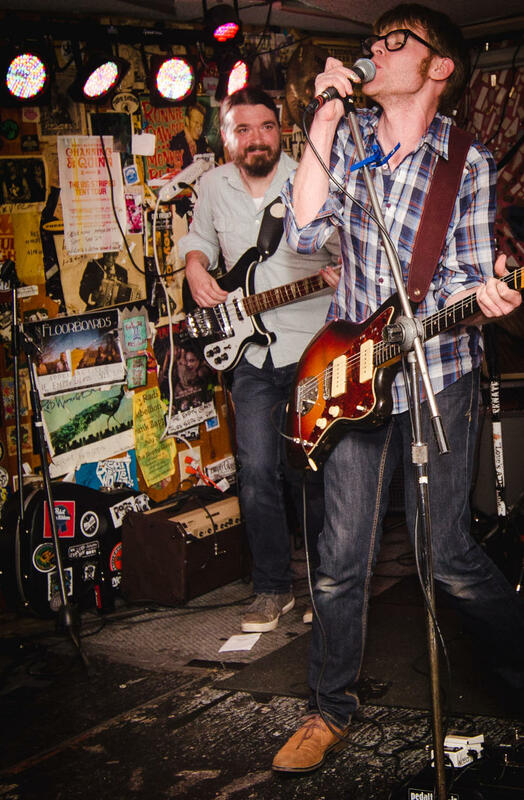 Brad Goodall- "You Can Stay"
They’re earnest, they’re indie, they’re Ona, the five-piece rock outfit that found its start in a sliver of unincorporated Appalachia called Ona, West Virginia. If you're a fan of deliciously mellow alt-rock bands that live by the motto "WWNYD" (that's "What Would Neil Young Do"), this interview and music are recommended for you. Since the show began almost two years ago, A Change of Tune has highlighted some of the best up-and-coming artists out of these West Virginia hills with podcast-y chats ranging from Tyler Childers to Coyotes in Boxes' Sean Knisely, Twin Cousins Records to Qiet and beyond. 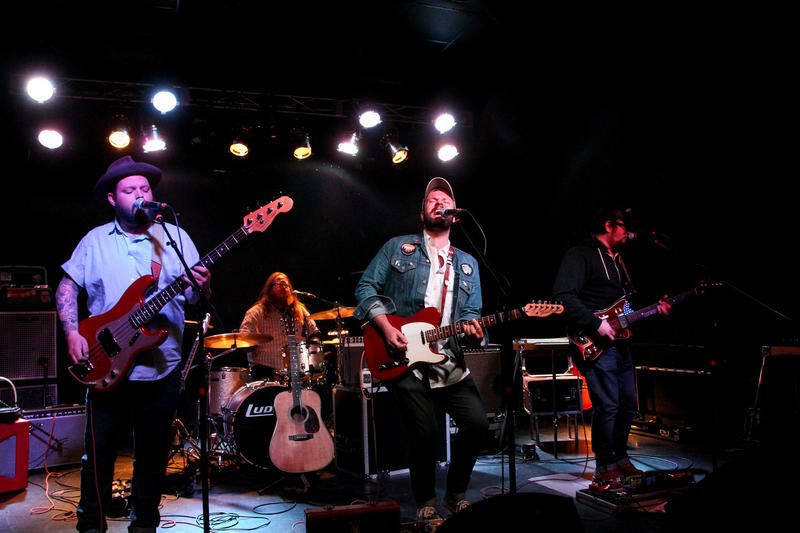 Since the show began almost two years ago, A Change of Tune has highlighted some of the best up-and-coming artists out of these West Virginia hills with podcast-y chats ranging from The Sea The Sea to Coyotes in Boxes, Qiet to Bud Carroll and beyond. Since the show began almost two years ago, A Change of Tune has highlighted some of the best up-and-coming artists out of these West Virginia hills with podcast-y chats ranging from Jordan Andrew Jefferson to Heavy-Set Paw-Paws, Of the Dell to False Pterodactyl and beyond. Alt-country singer-songwriter Elizabeth Cook and West Virginia-based rockers Qiet have been added to the bill for Mountain Stage's live production Sunday, July 31 at the Culture Center Theater. As previously announced, the show will also feature jam-grass favorites Leftover Salmon. 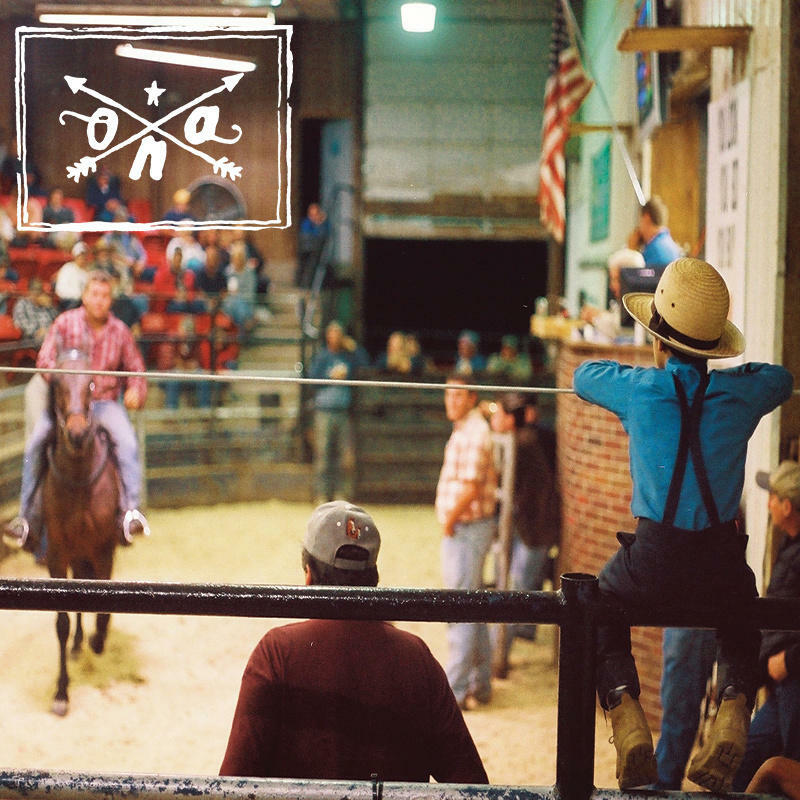 This week on Inside Appalachia, we're taking a look at Appalachians of all stripes who are retooling tradition to create a brighter future. We'll hear from a family of guitar makers in Virginia, members of Davis and Elkins College's first graduating class of its Appalachian Ensemble, an enterprising young reporter who's working to amplify #WVMusic, one of the few piano tuners in West Virginia, and a group of folks from Letcher County, Kentucky who are bringing square dancing back into vogue.